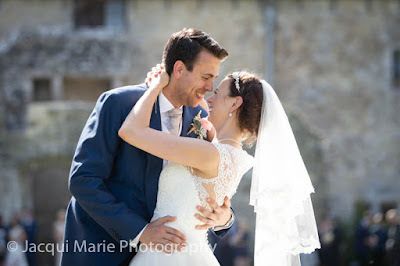 Liam and Alice had the most amazing wedding at the Domus in Beaulieu. 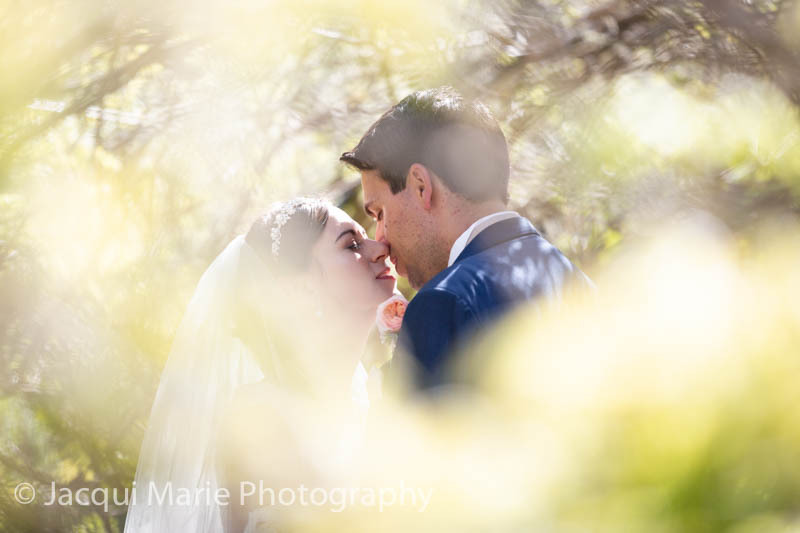 The weather was sunshine and wall-to-wall blue sky and extraordinarily hot considering it was only the beginning of May. This day not only marked the beginning of their married life together but also the start of the seemingly unending heat-wave of Summer 2018. The Domus and its Medieval Abbey ruins are such a nice backdrop, we could have photographed there for a week and still not run out of ideas. Liam and Alice made a stunning couple and our Romantic Portrait session with them was an absolute delight. 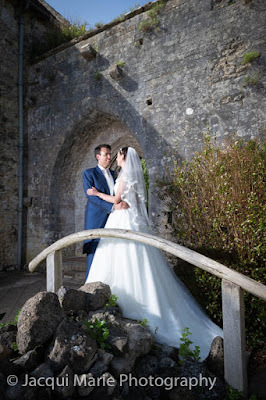 We had a wonderfully enjoyable time with them around the ruins. 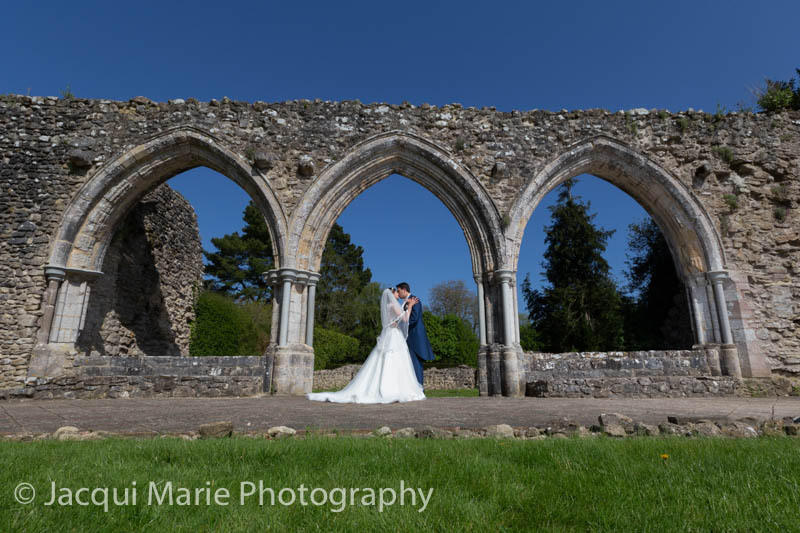 Perfect weather, with a gorgeous couple and the magic of the Medieval Abbey ruins...what's not to like. 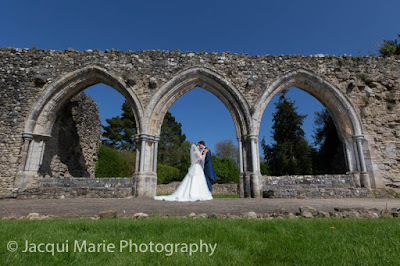 After having a great time with them amongst the ruins, we took them into the Beaulieu gardens. Being so early in May, this archway of Wisteria had not even come fully into leaf, let alone coming into flower. But these repeated element arches made nice concentric frames and the shadows of the overhead branches on the ground was helpful in having twisted-branch texture all around them. 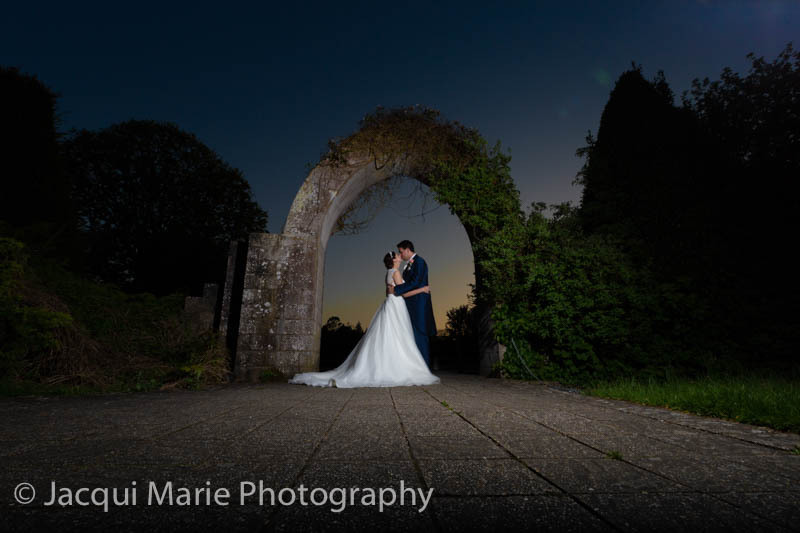 This is one of our favourite Romantic Portraits of the day. 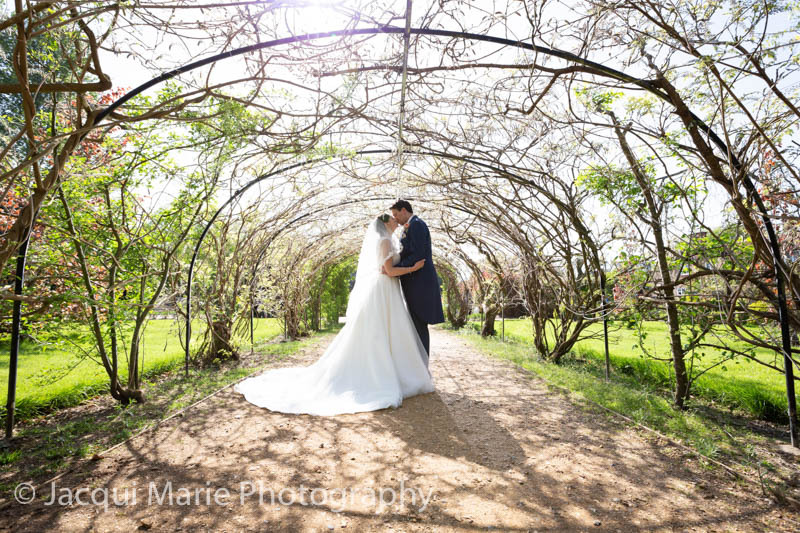 As Steve was photographing down the path with a wide-angle lens (in the previous photograph), Jacqui was photographing this gorgeous couple across the path through the wall of the Wisteria tunnel with a long lens, just as they kissed. It's a beautiful beautiful moment. 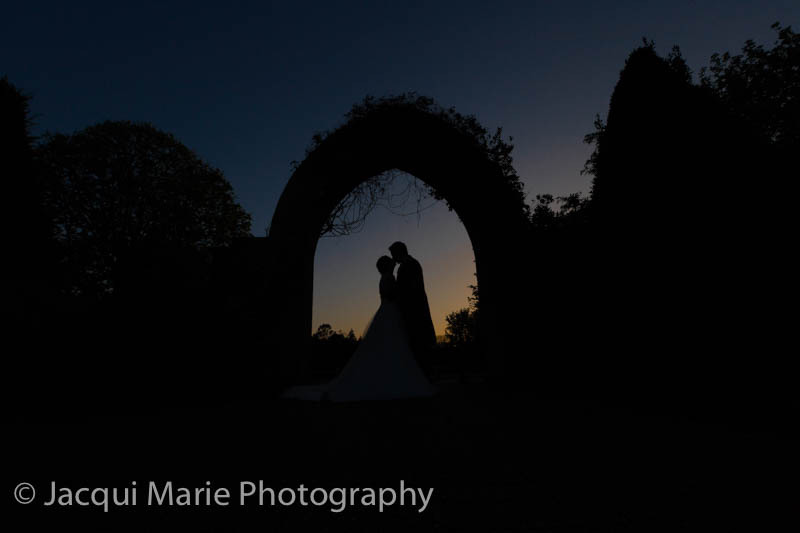 As the sun set, we returned to the ruins. 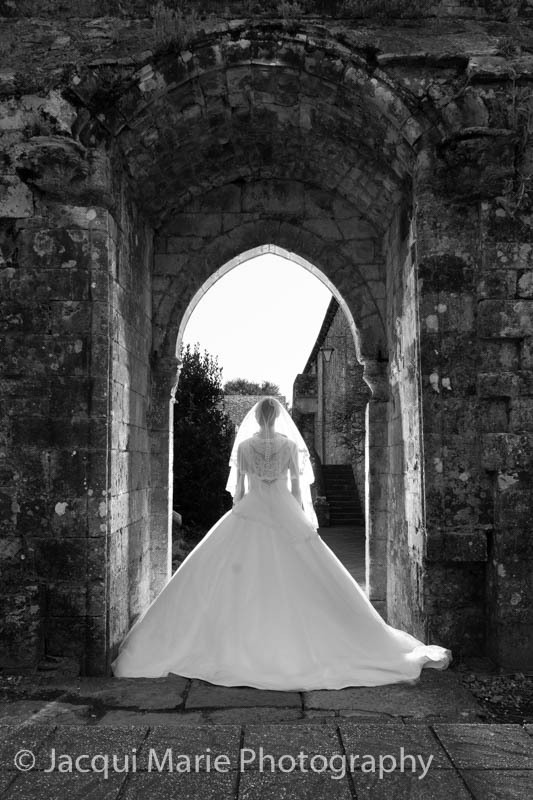 We set the dress with plenty of air underneath it to create shape, then raked a light across it to bring out the detail as they kissed beneath the arch of the Western door to the Abbey. Then we turned the light off and got a completely different vibe. There is something so romantic about this couple kissing in the dark against the last wisps of the golden sun that had brought so much joy to their wedding. We thank Liam and Alice for a fantastic day. 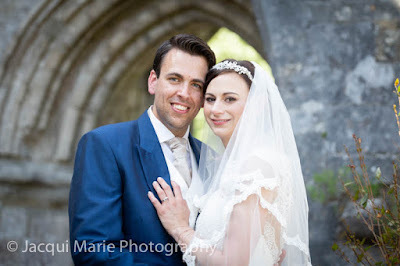 Their wedding was great fun with awesome guests but as a couple they were stunningly elegant and effortlessly beautiful.